Originally Chinatown was home to its’ ethnic namesake, however, over the last several decades Chinatown has been transformed into a character rich neighborhood surrounding the Verizon Center; home to the Washington Wizards of the NBA, Capitals of the NHL, the WNBA Mystics and the Georgetown Hoyas. Verizon Center plays host to numerous sporting events as well as concerts and cultural events. Many culturally diverse establishments call Chinatown their home, attracting individuals from across the Metro Area. Its’ proximity to Union Station and walking distance to every Metro line, as well as access to Interstate 395; give Chinatown unparalleled access to the entire Washington Metro Region and points beyond. 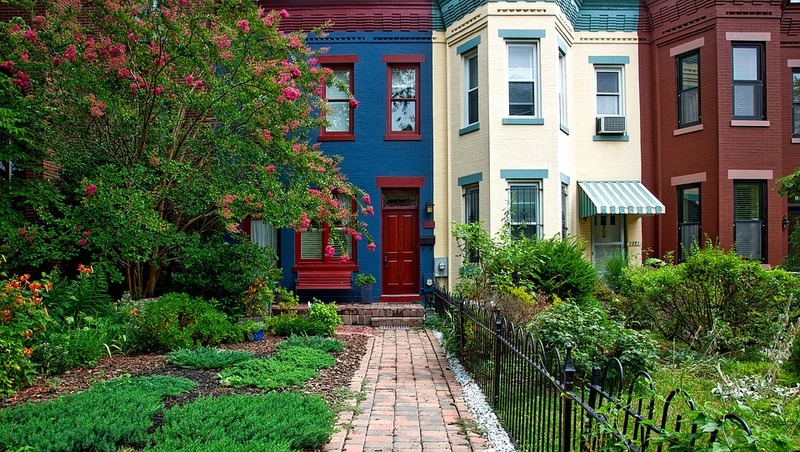 One of the oldest neighborhoods in the District is occupied by many famous institutions. George Washington University, the U.S. Department of State, the Watergate Complex and the Kennedy Center for the Performing Arts all call Foggy Bottom their home. Bounded by the Potomac River and the National Mall, green space abounds with easy access to Virginia and the Greater District by way of Metro’s Orange and blue lines. Many recent graduates and academics reside in Foggy Bottom due to GW University’s prominent presence in the neighborhood. The university’s presence contributes to the neighborhood’s vibrant nightlife scene as well as playing a role in supporting many unique restaurants not found elsewhere in the District. Foggy Bottom’s proximity to Georgetown and the White House lend it an upscale feel with a hip, diverse charm. International embassies are prominent residents of this trendy neighborhood with many of America’s allies calling DuPont Circle their home. With such a multicultural presence there are a vast range of restaurants available to Washingtonians and visitors alike. Some of Washington’s most highly regarded establishments are nestled into the area surrounding Massachusetts, Connecticut and New Hampshire Avenues. The Metro’s Red Line serves those who wish to come and enjoy one of DuPont’s many coffee shops and allows residents of DuPont easy access to the Greater District as well as Northern Virginia and Maryland. DuPont Circle is also home to one of the largest farmer’s markets the Washington Metro Area has to offer and it has been recurring since 1997. DuPont’s combination of green space and its’ fashionable yet upscale demeanor give it an allure other neighborhoods wish could be duplicated. A metro station may not exist in Georgetown but that remains one of the only amenities this well off neighborhood lacks! Bounded by the Potomac River to the west and Rock Creek to the east, Georgetown has the effect of removing itself from the Greater District and in many ways is the reason for its’ unique feel. Wisconsin Avenue cuts across the neighborhood with world class shopping and a vibrant night life around every corner. K Street has, in recent years, become Washington’s premier nightlife destination for residents and visitors alike. Georgetown University also calls this neighborhood its’ home and contributes beautifully to the overall aesthetics and appeal of Georgetown itself. It is not uncommon to encounter congressmen and congresswomen living here due to its proximity to Capitol Hill. Georgetown encompasses a diverse set of individuals ranging from the university’s student body to well-known celebrities – who add to this neighborhood’s already strong charm.